Chef Jeremy to serve Beer Pairing Dinner fit for a king! Hop to it and take dad for out for a Beer Pairing Dinner at Jeremy’s on the Hill, located down the road from our famous Gold Rush mountain town of Julian. Partnering with Julian Brewing Company and Baileys BBQ Pit, Cordon Bleu-trained Chef Jeremy will serve a mouthwatering farm-to-table dinner dad won’t soon forget! 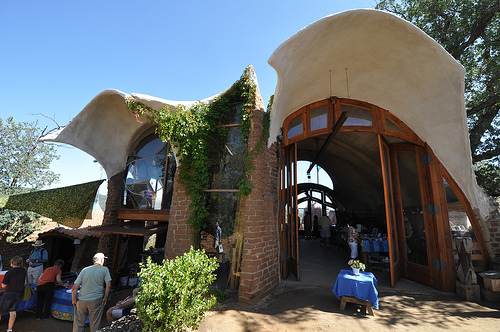 In nearby Santa Ysabel, famed architect/artist James Hubbell – “San Diego’s Gaudi” – opens up his fantastical art compound to the general public on Father’s Day, June 16. This 30th annual Open House sells out, so buy tix soon! This year, Hubbell debuts a new gallery building as dazzling as his art! Cost: $30-$75. Kids 12 and under – Free. Feed-a-cat at Lions, Tigers & Bears! Grrrrrreat! Does your dad love Animal Planet and Discovery Channel? In the rolling hills of Alpine, he can experience wildlife up close and Feed-a-Cat – as in a tiger, lion or leopard (his choice!) 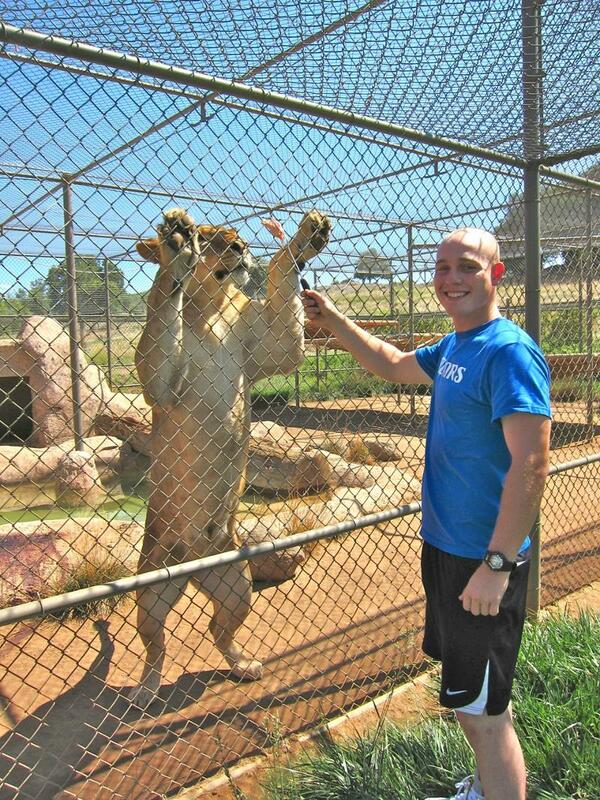 at Lions, Tigers & Bears, a big cat and exotic animal rescue sanctuary. I’ve done it once and Thrilling is an understatement! If you bring the kids, they must be 16 or older. 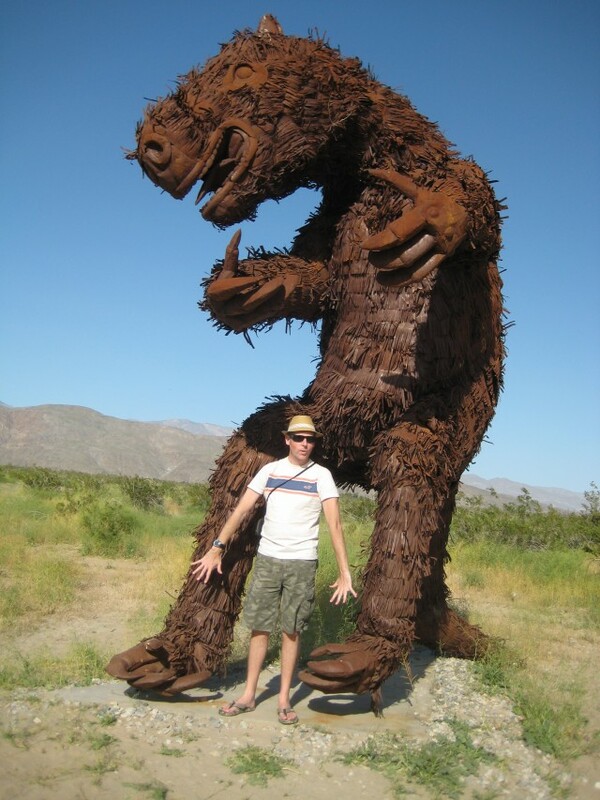 Galleta Meadows’ Giant Sloth in Borrego Springs! Borrego Springs, San Diego’s desert oasis, is piping hot right now but don’t let the triple digits deter you. Summer means NO crowds and hours of poolside respite. I suggest staying at the swanky new La Casa del Zorro Resort (casitas with spas!). On the edge of town, check out the wild Galleta Meadows sculpture garden (free viewing! ), featuring a cuddly new Giant Sloth. Book an off-road adventure with California Overland to take dad and the whole family to Fonts Point, “California’s Grand Canyon” – a contender for Virtual Tourist’s 8th Wonder of the World! This entry was posted in Attractions, Family Vacations, Hotels & Places to Stay, Outdoor Adventures, Tours & Sightseeing and tagged alpine, bears, beer, Borrego Springs, California Overland, east county, father's day, font's point, Galleta Meadows, gold rush, insider tips, James Hubbel, Jeremy's, Julian, La Casa del Zorro, lions, tigers by Robert Arends. Bookmark the permalink.